Madrabbit reserves the right, in its sole discretion, to modify or revise these Terms at any time, and you agree to be bound by such modifications or revisions. Any such change or modification will be effective immediately upon posting on the Service, and your continued use of the Service after any changes or modifications to these Terms are posted will constitute your acceptance of, and agreement to, such changes or modifications. If you object to any change or modification, your sole recourse shall be to cease using the Service. Subject to your compliance with these Terms, Madrabbit grants you a limited, revocable, non-exclusive, non-transferable, non-sublicensable license to use and access the Service, solely for your personal, non-commercial use. You agree not to (and not to attempt to) (i) use the Service for any use or purpose other than as expressly permitted by these Terms or (ii) copy, adapt, modify, prepare derivative works based upon, distribute, license, sell, transfer, publicly display, publicly perform, transmit, stream, broadcast or otherwise exploit the Service or any portion of the Service, except as expressly permitted in these Terms. No licenses or rights are granted to you by implication or otherwise under any intellectual property rights owned or controlled by Madrabbit or its licensors, except for the permissions and rights expressly granted in these Terms. If you violate these Terms, Madrabbit reserves the right to issue you a warning regarding the violation or immediately terminate or suspend any or all accounts you have created using the Service. You agree that Madrabbit need not provide you notice before terminating or suspending your account(s), but it may do so. Madrabbit reserves the right to refuse any user access to the Services without notice for any reason, including, but not limited to, a violation of the Terms. All rights, title and interest in and to all materials that are part of the Service (including, but not limited to, designs, text, graphics, pictures, video, information, applications, software, music, sound and other files, and their selection and arrangement), except for “User Content” (as defined below), collectively referred to as the “Service Materials”, are, as between Madrabbit and you, owned by Madrabbit and/or its third party licensors. You acknowledge and agree that you shall not acquire any ownership rights whatsoever by downloading Service Materials. You agree that you shall not modify, copy, distribute, frame, reproduce, republish, download, scrape, display, post, transmit, or sell in any form or by any means, in whole or in part, or otherwise exploit the Service Materials without Madrabbit's express prior written permission. All other uses of copyrighted material, including any derivative use, require express prior written permission from Madrabbit. Any reproduction or redistribution of Service Materials not in accordance with these Terms is expressly prohibited and may result in severe civil and criminal penalties. You acknowledge that you do not acquire any ownership rights by using the Service or by accessing any Service Materials posted on the Service by Madrabbit, or any derivative works thereof. All rights not expressly granted by these Terms are reserved by Madrabbit and its licensors, and no license is granted hereunder by estoppel, implication or otherwise. Any data, text, graphics, photographs and their selection and arrangement, and any other materials uploaded to the Service by you or other users (hereinafter "User Content") are subject, whether in whole or in part, to unlimited commercial, non-commercial and/or promotional use by Madrabbit. All User Content is the sole responsibility of the person from whom the User Content originated. Thus, users are responsible, and Madrabbit is not responsible for any files users upload, post, or otherwise make available. Madrabbit may or may not regulate User Content and does not guarantee the accuracy, quality, or integrity of any User Content posted via the Madrabbit application. 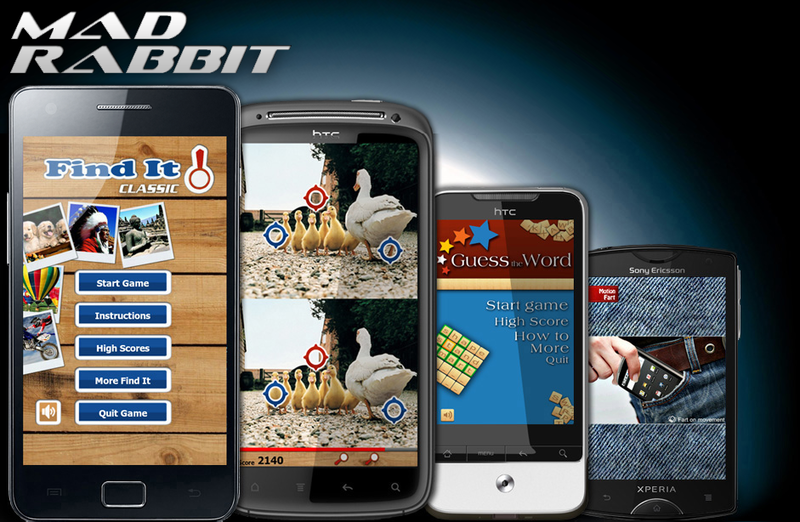 By using Madrabbit you acknowledge and accept that you may be exposed to material you find offensive or objectionable. You agree that Madrabbit will not under any circumstances be liable for any User Content, including, but not limited to, errors in any User Content, or any loss or damage incurred by use of the User Content. You represent and warrant that User Content you transmit or submit is original to you and that you exclusively own the rights to such content, including the right to grant all of the rights and licenses in these Terms without Madrabbit incurring any third party obligations or liability arising out of its exercise of such rights and licenses. You hereby grant to Madrabbit a worldwide, irrevocable, perpetual, non-exclusive, transferable, fully paid-up and royalty-free license, (with the right to sublicense), to use, copy, adapt, modify, distribute, license, sell, transfer, publicly display, publicly perform, transmit, stream, broadcast and otherwise exploit User Content you transmit or submit and all derivative works. To the extent permitted by applicable laws, you hereby waive any moral rights you may have in User Content. Madrabbit reserves the right to remove and permanently delete any User Content from the Service with or without notice for any reason or no reason. You may notify Madrabbit of any User Content that you believe violates these Terms, or other inappropriate user behavior, by emailing madrabbit.studio@gmail.com. The Service may provide communication channels designed to enable you to communicate with other Service users. Madrabbit has no obligation to monitor these communication channels but it may do so and reserves the right to review materials posted to the Communication Channels and to remove any materials (including without limitation User Content), at any time, with or without notice for any reason, at its sole discretion. Madrabbit may also terminate or suspend your access to any Communication Channels at any time, without notice, for any reason. You acknowledge that any User Content (including without limitation chats, postings, or materials posted by users) on the Communication Channels is neither endorsed nor controlled by Madrabbit. Madrabbit will not under any circumstances by liable for any activity within Communication Channels. These rules of use are not meant to be exhaustive, and Madrabbit reserves the right to determine what conduct it considers to be a violation of the Terms or improper use of the Service and to take action up to and including termination of your account and exclusion from further participation in the Service. Madrabbit may terminate your account and your access to the Service (or, at Madrabbit’s sole option, applicable portions of the Service) at any time and for any reason. Madrabbit is not required to provide you with any notice or warning prior to any such termination.